Today my boyfriend and I started a 3 day juice cleanse. We did a search around the internet and decided that the plan and recipes best suited for us is by Leanne Vogel from www.healthfulpursuit.com. Today I woke up and had a green tea with mint before work and then had my first juice at about 11am. I'm feeling a hunger pang now so I think it might be time for juice number two! 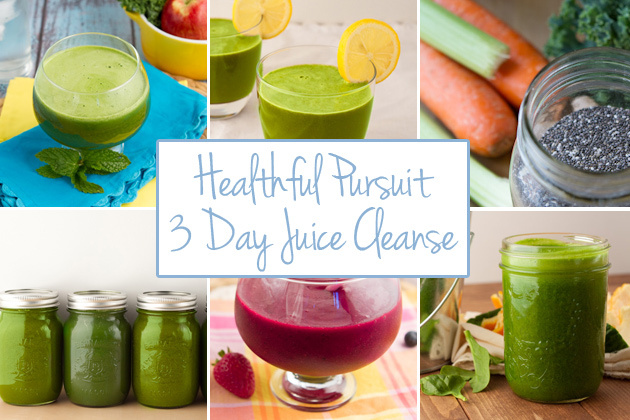 So far it doesn't seem too difficult but that might be because I have a huge blemish on my chin and I'm hoping the cleanse will get rid of it. I'll let you know how it goes after the third day and then on Friday I'm starting the Insanity Workout. The sun is out and I need to get ready to get back into that teeny tiny bikini! Follow me on Instagram for updates. I heard about juice program from other bloggers and about Insanity from a colleague (he says it is really painful, pushes to you to the very limit apparently). Update us on how both go! Good luck!